The Stroke Belt is an 11-state region of the United States where studies show that the risk of stroke is 34% percent higher for the general population than it is in other areas of the country. It spans across the South, with rates particularly high in our region. States in the Stroke Belt include Mississippi, Tennessee, Louisiana, Kentucky, Georgia, North Carolina, Alabama, South Carolina, Arkansas, Indiana and Virginia. 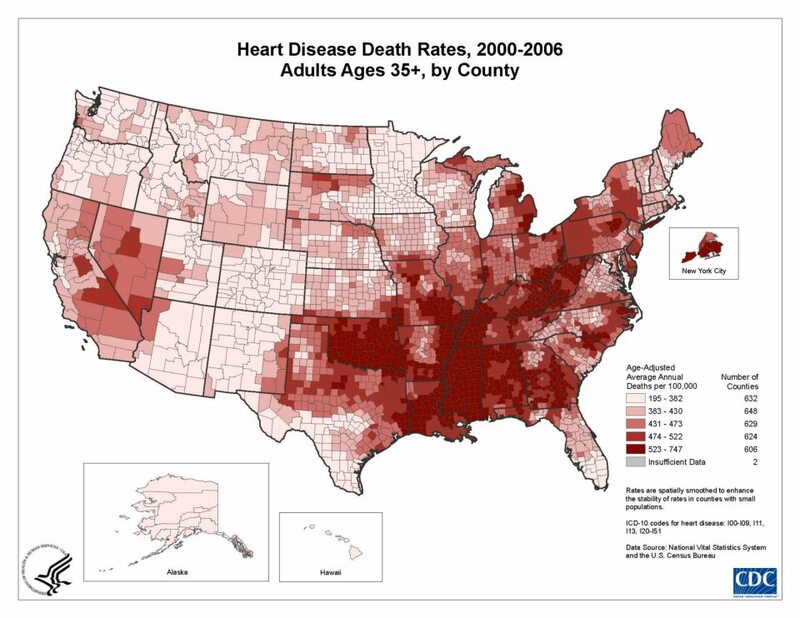 In Mississippi, the stroke risk is one third higher than the national average. Deaths from stroke are much more common for people of all ages and the overall rate of cardiovascular disease is higher than the national average. Researchers believe that greater-than-average rates of obesity, cigarette smoking and high blood pressure account for the increased risk of death from cardiovascular disease in the Stroke Belt. Living in the Stroke Belt doesn’t have to mean deadly cardiovascular disease is inevitable. With early detection and a personalized prevention plan, your future is in your control. Copyright Heart Attack & Stroke Prevention Center (The Prevention Center) © 2012-2019 | All Rights Reserved.